Thomas Christiansen vs Paul Heckingbottom: How did the Leeds United players compare under each manager? How did the players rate under both Leeds United managers this season? Leeds United brought their difficult Championship campaign to an end on Sunday with a 2-0 win over QPR - but how did the players rate under both managers this season? The formula... we’ve taken YEP’s chief football writer Phil Hay’s ratings from each game across the season and calculated the average for each player under both United managers. From Pontus Jansson to Samuel Saiz... take a look at our gallery above to see how much each squad member and their rating differed under the two men in charge at Elland Road. Thomas Christiansen - appointed at Elland Road on June 15 2017 following Garry Monk’s departure from West Yorkshire. 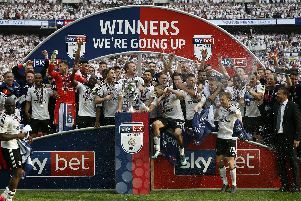 The Dane saw his Whites team hit the summit of the Championship in September but lost his job in February following a 4-1 defeat to Cardiff City after a poor run of form an discipline. Paul Heckingbottom - appointed as Christiansen’s successor two days after he was sacked, Leeds paid £500,000 for his services from fellow Yorkshire club Barnsley. The 40-year-old oversaw a torrid run of form winning just three league games out of 16. Let us know your thoughts on the ratings below.